Tuesday night, I felt it – a wave of fatigue, like a weighted blanket had been dropped on my head. Rising early for Wednesday morning meetings, I felt like I hadn’t slept at all. Later, walking in the bitingly cold wind downtown, I shivered pulling my scarf up over my ears. I never did get warm. Driving back my throat felt hot and dry; couldn’t drink enough water. Uh-oh. It’s been 2+ years since I’ve been sick. No colds, flu, sinusitis, allergies, nothing. It’s not for lack of stress or not being around sick people – I’ve had both in spades & fought the crud off many times. But I know my signs. Weds afternoon I came home early, crawled into bed and slept for 3 hours. And didn’t feel better upon rising. Thursday & Friday I used sick time, napping during the day, coughing through the night. So, it’s no wonder my FitBit is confused ~ it’s used to me averaging 7.2 hours of sleep with the occasional weekend nap thrown in. It’s not used to this. See the “warning” message below about the effects of an inconsistent bedtime. The fever broke last night; chicken broth & scrambled eggs taste good, hot tea, ice water and throat lozenges soothe. I’ve gone through 2 boxes of Puffs plus lotion, binge-watched shows I don’t remember, and feel sad that it hurts to read. How about you? Have you had a bout of the flu or managed to steer clear? Please share your recovery tips with me ~ it may be a while before I respond b/c I’m probably napping! Sounds like you are on the mend. I am too superstitious to tell you I have avoided the flu. March is not over yet. Get consistent sleep Emjay and be well soon. thank you kind friend. I have been sleeping so much – 9+ hours at night + naps. The little || in the sleep show the times awake = that’s me up & coughing. Ugh. Slowly crawling out of the funk … but not pushing it yet. A fitbit that’s just like mom — tracking everything you do! I’ve been healthy this winter (knock on wood) so I can’t help you with tips. Hope you recover faster than some friends who were down with it for two weeks. yep – it got confusing by my 9 hours in bed and 2-3 hour naps — gah. I’ve been well for 2+ years but I guess it was my turn. Am on the mend, not a 100% yet though, the littlest bit of effort is exhausting. I took tomorrow off, too. Blah! 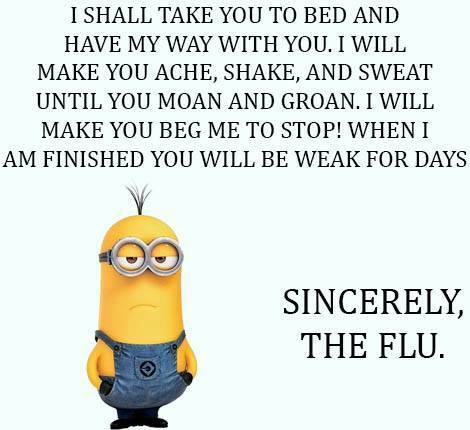 Aw, so sorry that you’ve been sick. It’s been so long!!! Take care and hope you feel better SOON! thank you ~ 2+ years; in hindsight I could have been sick many times over had I been living my old ways…. so that’s something. Had one 24 run in, with a nasty bug last month…other than, that have managed to stay clear. My routine….pamper myself…lots of rest, push the fluids, take drugs if I need to…and push back…HARD against the nay-saying/ shame peddling old German in my head, that says I am weak, lazy, and should be working. Ugh. No fun at all. I haven’t had a flu shot or the flu in several years. You’re doing all the right things. Rest and let your body do it’s thing.